I've been a busy little bee for the past month, with much of my post-grad endeavors focused on promoting/publicizing an 89-year old great-grandmother, clinical psychologist, and Holocaust survivor: Dr. Edith "Edie" Eger. Now a debut author, she recently released "The Choice: Embrace the Possible," part memoir / part self-discovery for those who read it. She's mesmerizing, youthful, and joyous. Her words compel you into a state of positivity, optimism, and strength— all qualities hard to keep up with on an everyday basis. Edie is a life-changer. Working as a marketing assistant for her publicity team, I've been blessed with the task of sharing her story, and I'll tell ya, no one's ever mad at me for doin' it! 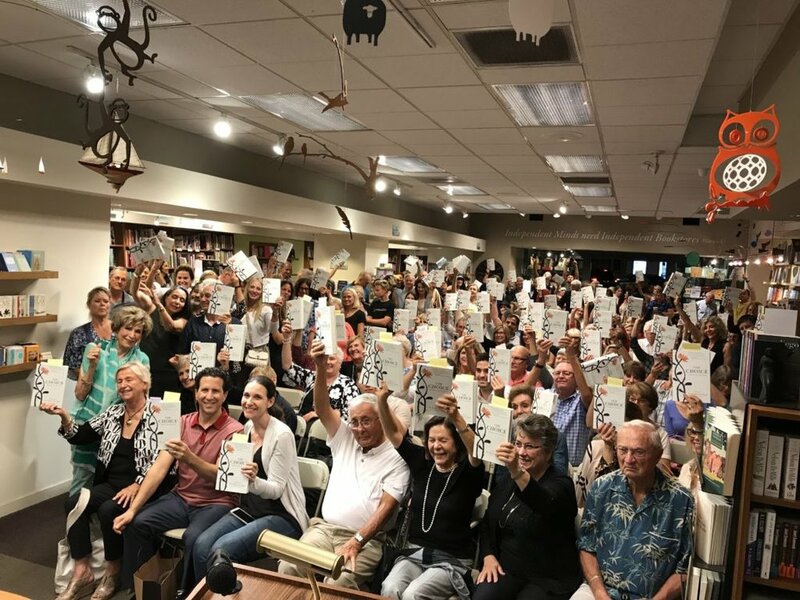 Everyone who meets her falls in love, and this proved very true at her book launch and signing earlier this month at Warwick's in La Jolla (the cutest & quaintest lil' independent bookstore around). It was such a success! I was so thrilled to be even a small part of its planning and execution. 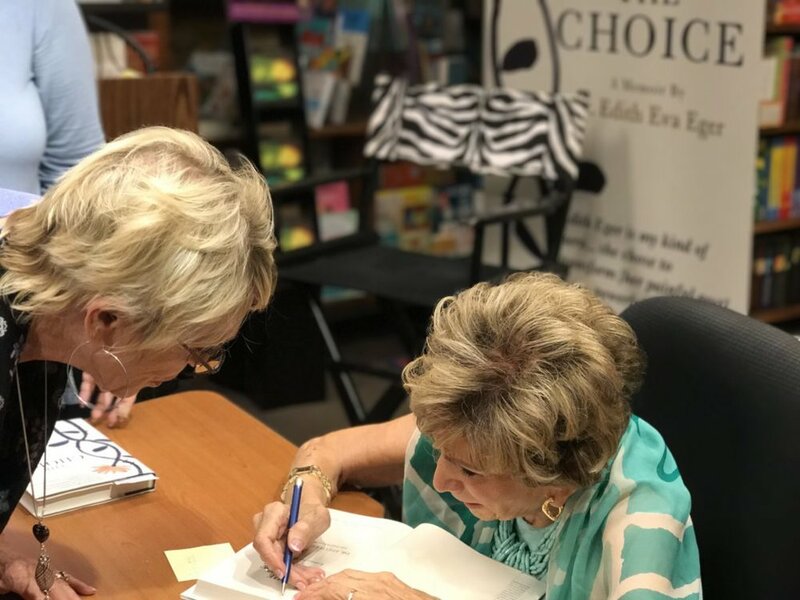 "An unprecedented amount of guests filed into Warwick's on September 5th, making THE CHOICE book launch one of the most well-attended events in the beloved bookseller’s history. Joined by Wendy Walker, long-time CNN producer and executive producer for ABC’s “Notorious,” Edith told her story in the hope of helping those in attendance with their own stories." dreditheger.com | Edie personalizes a fan's copy of "The Choice"
ABC Channel 10 News highlighted the event and Dr. Eger, read the full story here. Dr. Eger's "The Choice" is available everywhere, get your copy today!